Who doesn't love Sesame Street? If you don't then you're not of this world or any other. Sesame Street has been around for many decades and it's main purpose is to teach and entertain young children. You can't help but to love the many characters of Sesame Street, from a happy go lucky Big Bird to the grumpy old Oscar the Grouch. Many of the main characters have completely changed. 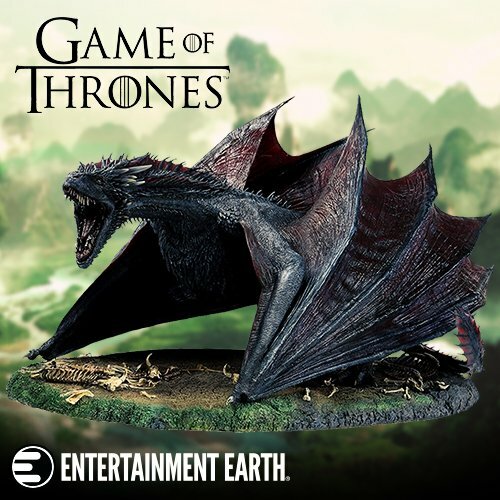 It's understandable that characters have gone through updates since the show's inception. Back in the late 60's and early 70's some of the characters of Sesame Street were downright horrifying to some children. Caroll Spinney, the actor who played Big Bird since the beginning, described the character as not looking "too keen." Spinney said the bird was "one of the ugliest things" he had ever seen. Cookie Monster used to have big pointy teeth, although this was when the puppet was used in commercials before the beginning of "Sesame Street." Ernie had a purple and orange shirt, and has a purple nose. Bert had an immobile unibrow and his hair appeared to be unkempt. 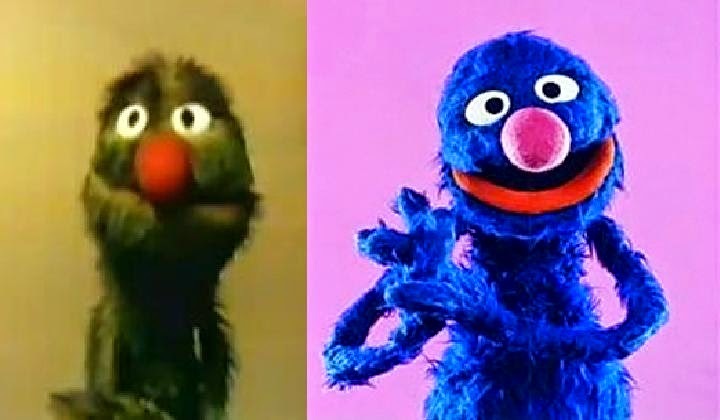 Grover sounded like Cookie Monster and had greenish-brown fur and a red nose. 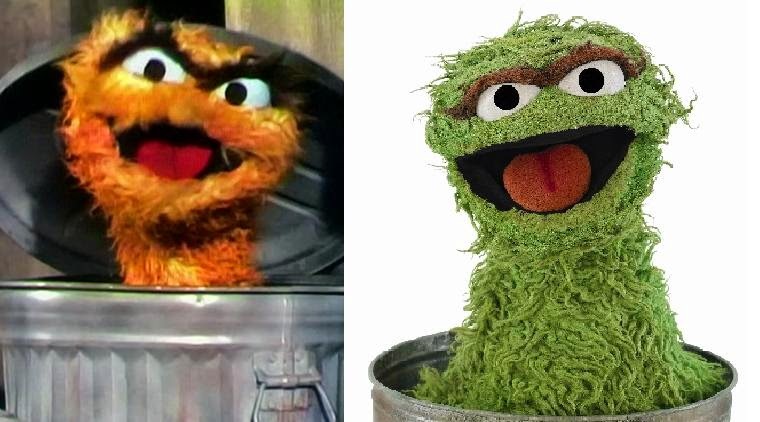 Oscar the Grouch was orange. 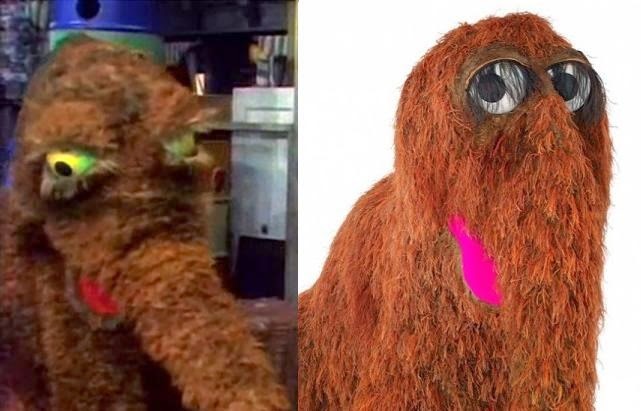 Mr. Snuffleupagus used to be unintentionally super scary looking. Snuffy had yellow slits for eyes that made him look like a monster and had a much more ghastly body with less padding. 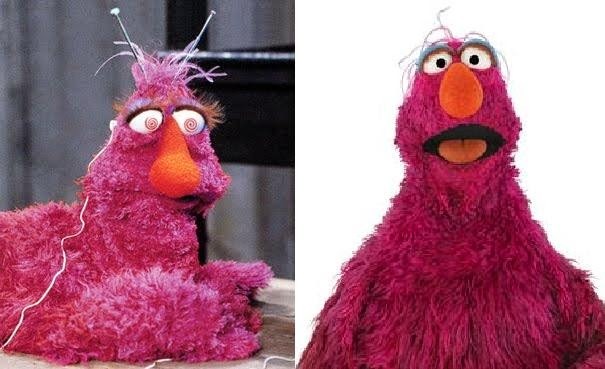 Telly Monster initially had antennae coming out of his head and his eyes would spin whenever he watched television.